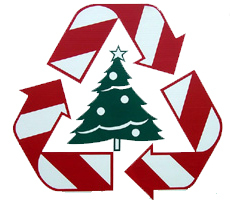 After the Christmas season comes to an end, many of the Christmas trees that we sold will come back to The Home Depot for recycling. 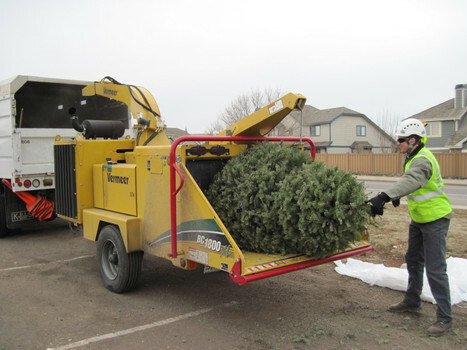 Each store will accept the clean, undecorated trees back and we will convert them into mulch that is available, free to anyone who wants to come and get it. Chipping the trees will produce mulch that will eventually break down and form compost that is beneficial as a soil amendment after it has degraded from its original state. Compost is highly nutritious and will improve the texture of any soil. Compost will break up clay soil and it will help to bind sandy soil, making both types of soil better at growing plants. The Christmas tree mulch is not ready for use immediately after chipping. The acidic properties of the fresh trees will act against the nutritive aspects and stop the growth of most plants. While this could make for good weed control, the soil will not benefit from the mulch for quite some time. 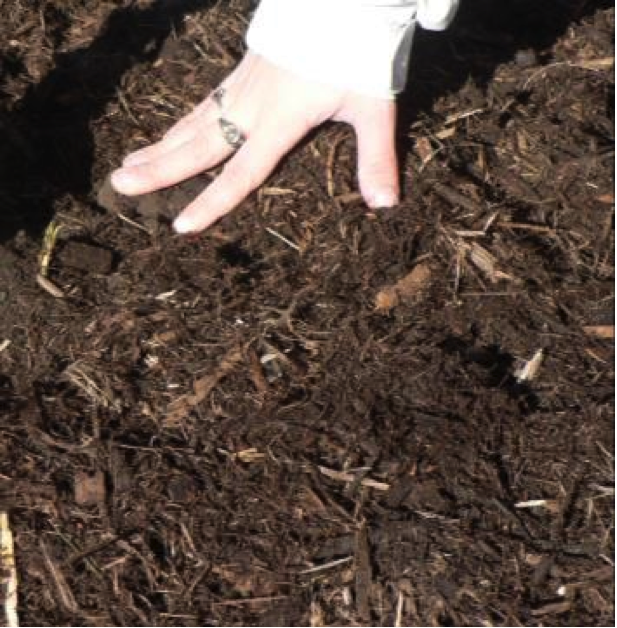 Compost is achieved after the mulch has decomposed to the point where we no longer can recognize the original product. If it still looks like wood, it is mulch. 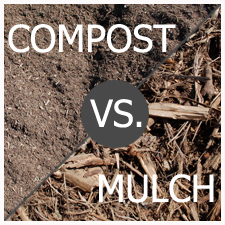 If the mulch looks like dirt, it’s compost! It takes time for organic matter to decompose. Some matter degrades quickly, like grass clippings and fallen leaves. Woody plants take much longer to break down. Smaller bits of organic matter break down faster than large chunks do, so additional chipping of large mulch pieces will speed up the composting process. Utilizing a chipper that is smaller than the one that chipped the Christmas trees initially will yield much smaller, smoother mulch. 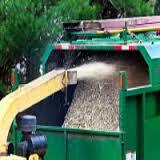 Most mulch will decompose into usable compost in 1 to 2 years. Remember, if it looks like wood, it’s still mulch. When it resembles dirt, it is compost and is ready to use. You can build a composter to help hasten the process. Click here for an article that offers a solution for composting. 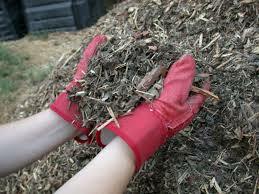 The best way to speed up the composting process is to turn the compost. Turning the composting materials exposes more matter to the enzymes so that they can decompose that matter more quickly. Composting will occur if you don’t turn it, but it will take longer. Compost bins are available in many forms and can be customized to fit your individual needs. We have manufactured composters available on HomeDepot.com as well as in the stores. 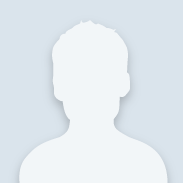 Click here to shop. 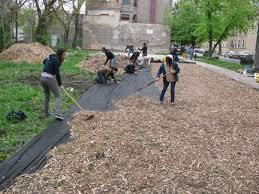 After the tree mulch has converted to compost, it can be used in flower beds and vegetable gardens. 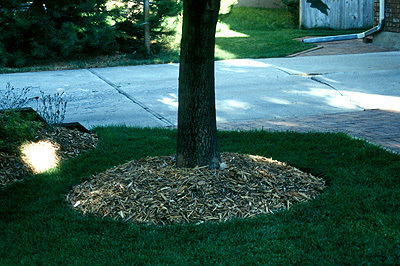 Lawns benefit from a dusting of compost whenever fertilizer is applied. 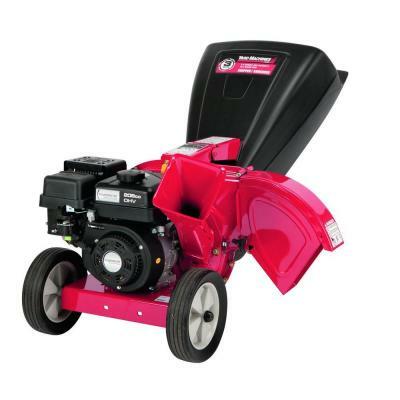 Apply it just before aerating to incorporate it into the soil for better moisture retention in any type of soil. I'll see you in the aisles!